Get your free oil check today!!! 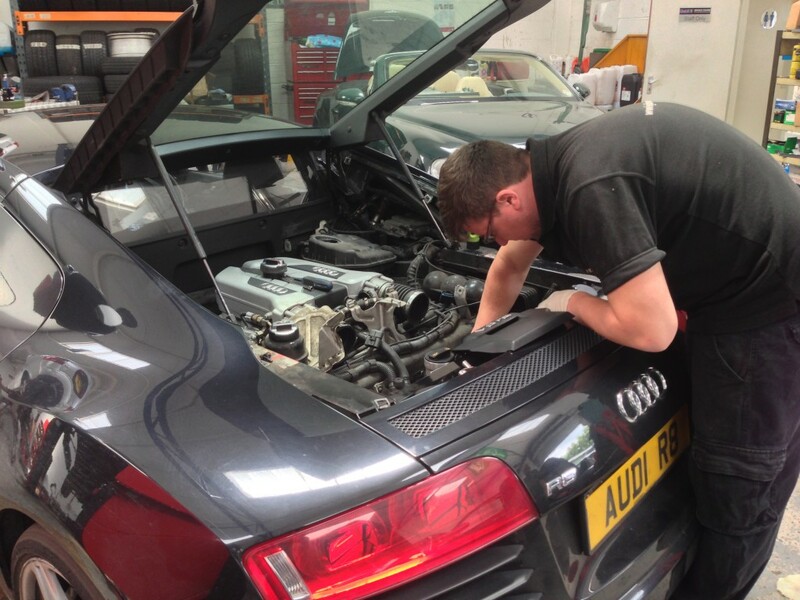 Part of the servicing schedule is about ensuring that the engine is running correctly, that there are no problems with the brakes, that the tyres are correctly inflated and the filters are changed regularly. If all that is attended to properly and the adjustments carried out then the engine will run efficiently, there will be fewer problems with fuel consumption and of course it’s good for the environment. Regular servicing is also important for the warranty as I’ve seen several cases of engine failures and transmission failures where because the vehicles haven’t been serviced quite on time the warranty payments have been declined. It’s a good and necessary thing to have your car serviced in accordance with the manufacturer’s recommended service intervals. But of course it’s a better thing if your car is serviced more frequently because that ensures that the brakes, the steering, the suspension etc are all looked after more carefully and more frequently which can also improve the saleability of that car, whether old or new. It can be very tempting with an older vehicle to fall into the trap of extending the time and distance intervals between services but that’s not a good idea. An older vehicle if anything needs more regular servicing. If these service schedules are left too long then it could result in fairly drastic engine damage. All the safety related items should be covered – the brakes, the steering, the suspension, the tyres, the tyre pressure, lighting, windscreen wipers etc. Then secondary to those but equally important are the normal everyday things that you would expect in your service such as the replacement of oil, oil filters, air filters, spark plugs, fuel filters, as per the manufacturer’s schedule. I would suggest that your servicing be carried out by people who are recommended to you. It’s very important that you have confidence in the people who are servicing your car and you trust them. If you can find a garage where the technician who’s working on your car comes out, speaks to you before the service is carried out, asks you if there are any problems with the car and discusses things openly with you then you probably have the right person. If you are given any prices for repair work by the servicing garage and you’re really not too sure about it then hold back and ask them for a few days delay while you get a second opinion from another garage. Also ask them what parts they are recommending you get fitted as you may find you are getting cheap pattern parts but paying a similar price to what you would be paying for original equipment parts. So do your homework and find out what you’re getting for your money. Don’t be afraid to ask for a second quotation and opinion from another garage as to whether the repairs that have been suggested are in fact necessary.